As known, Roatán is the most highlighted destination in Honduras, worldwide. Located in the Caribbean, Roatan is one of the three islands that make up the Bay Islands and is the second largest of these. 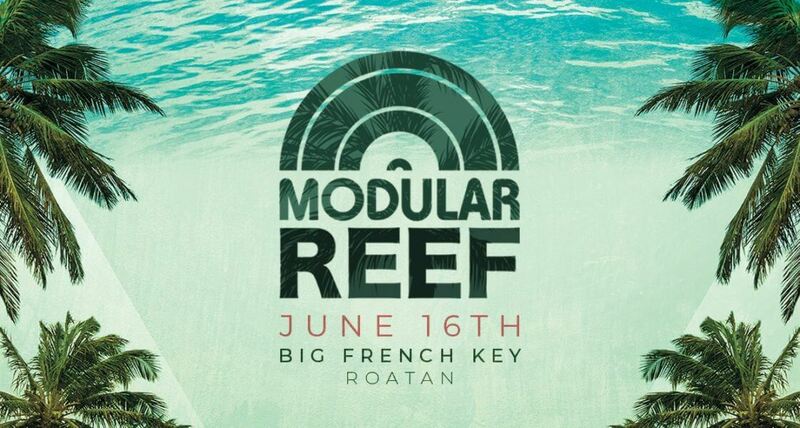 The perfect setting for one of the newest but still emerging electronic music festival after the extinct SUNJAM in Utila. Balto Pinto, one of the most outstanding DJs of the Techno scene in Honduras and the main organizer of this super fun and well-crafted festival, told us, that the idea was born of the need to create the perfect visual and aural mix for a national and international audience, and it’s with that in mind that, Big French Key, Roatan was chosen as the perfect setting. Big French Key is a small key which is conditioned so that tourists have an unparalleled moment in their visit to Roatan, permanent restaurant and bar facilities, lots of beach chairs, sofas and comfortable furniture, fresh water showers, terraces, palapas, safe and comfortable transportation from the island of Roatan (which is included in the ticket to the event), safety and first aid personnel, etc. 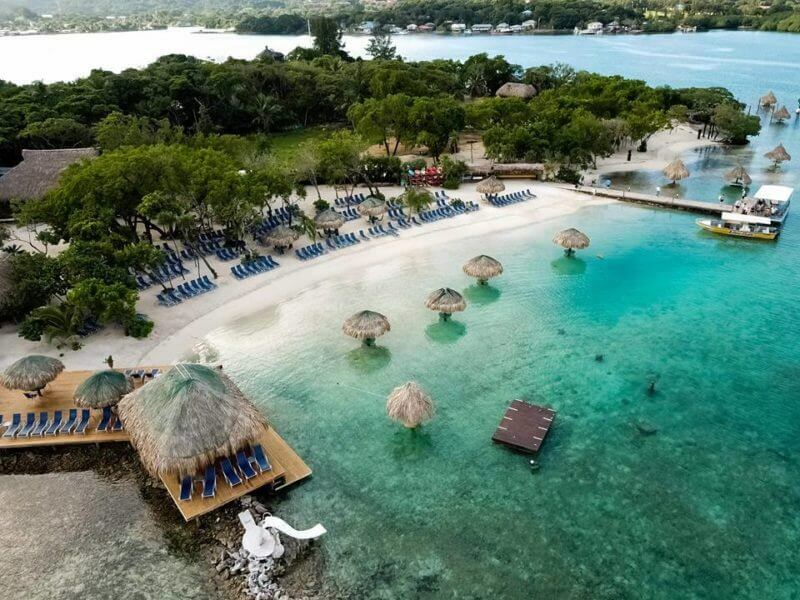 Roatán was also chosen because of the variety of services available on the island; international airport, hotels and accommodation options for all budgets, alternative activities for visitors. R.E.E.F. It is not a simple festival, it also serves as an event where people are made aware through their social networks about the importance of taking care of the coral reef and the sea. 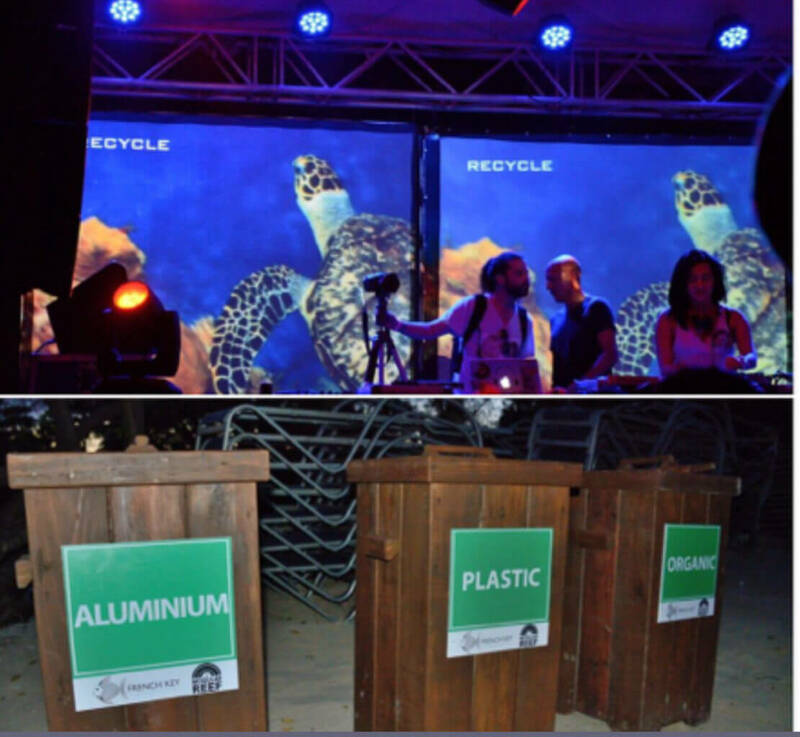 They also have the participation and support of “Go Blue Bay Islands” of National Geographic, who establish guidelines to follow to make the event environmentally friendly. The representatives of Go Blue B.I. 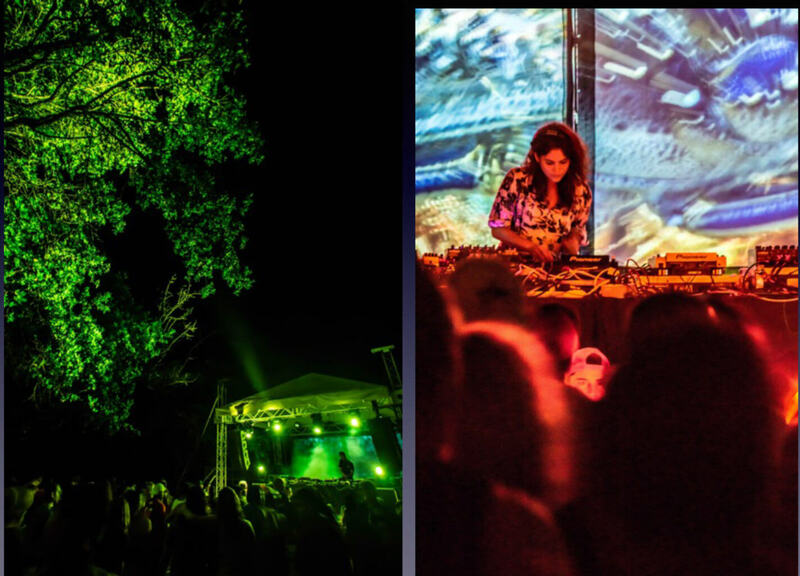 supervise the development of the event to ensure that these guidelines are followed, also every year new standards recommended by the European organization “A Greener Festival” are put into practice. At La Hamaca Hostel, we have early bird tickets sales for this super event, also with information on accommodations, how to get to the island and even how to transport on the Island. We got you covered!